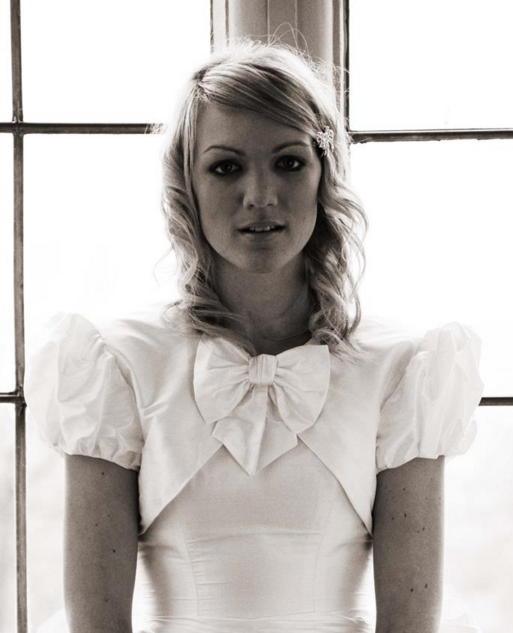 A Most Curious Wedding Fair Blog: CAROLINE CHAMBERLAIN COUTURE for the Most Curious brides! 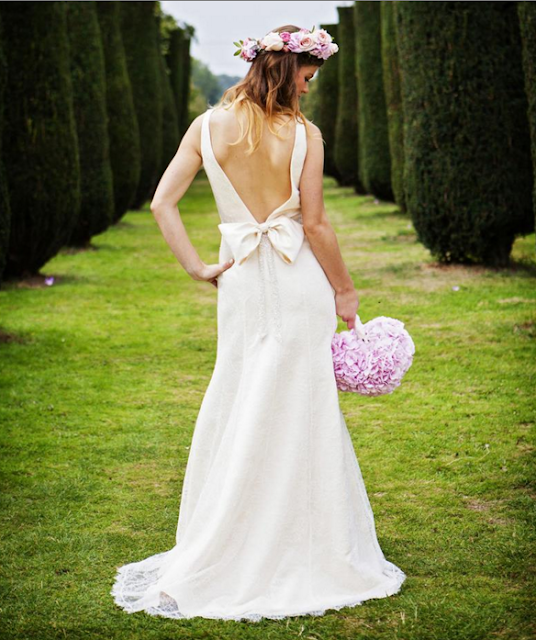 CAROLINE CHAMBERLAIN COUTURE for the Most Curious brides! A Most Curious Wedding Fair is ALL about fashion - we select only the most unique and beautiful designers to share with our brides and we are delighted to reveal that Caroline Chamberlain Couture will be joining us for MC16! 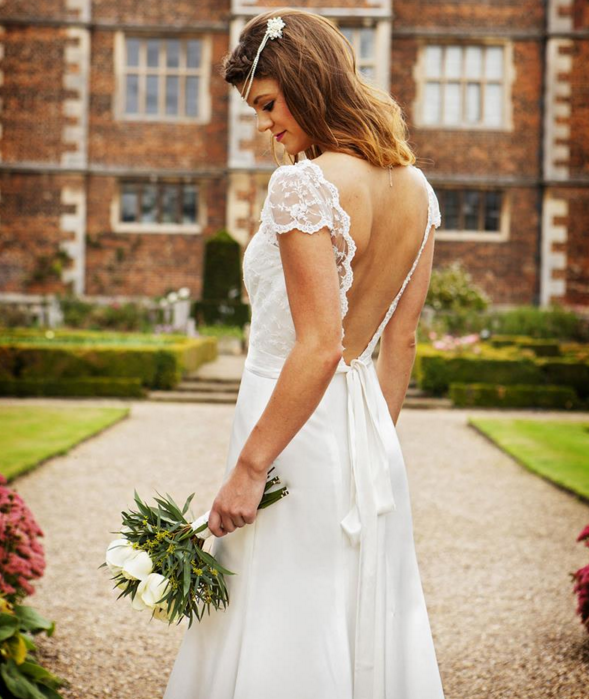 Based in North Hykeham, Lincoln, Caroline Chamberlain Couture offers a collection of exquisite designer gowns and a bespoke wedding dress service, tailored for each unique bride to reflect their individuality. She tells us that the archaic definition of 'Curious' is 'made or prepared skillfully' or 'done with painstaking accuracy and attention to detail' and she likes to think that each and every gown she works on is exactly this! Caroline's brides are the most important thing to her and she will not let any gown leave her boutique without seeing that beaming smile that every Bride to be should have when they wear the most important dress they will ever purchase. Welcome to Most Curious Caroline! Please describe your typical day. Once I've got myself out of bed, had breakfast and got ready in my flat, I drive 10 minutes down the road to my Boutique which I share with a cute little tea room, The Garden Tea Room, and Flowers by Suzanne florists. After grabbing a coffee, I head upstairs to my studio to check my work plan for the day. My day to day at the Boutique can vary quite a lot. I work alone so I am responsible for every aspect of what goes on at a bespoke bridal boutique. If I am starting a gown for a new bride to be, I will grab her notes and measurement form out, to start the pattern for her gown. Once the pattern is drawn up, it will be pinned to the calico (as I always make a toile before cutting the brides actual fabric) and cut out the initial mock up of the dress. Once cut, I will sit and sew the gown on my faithful bernina sewing machine. Once the toile is made, the gown is bagged up in a Caroline Chamberlain pink gown carrier and labelled up for the bride ready for her first fitting appointment. I run an appointment system daily at the boutique so throughout the day I may have brides in at various stages of the wedding gown experience. I love meeting all my brides and always build up quite a close relationship during the process of making her gown. I think this is essential when working with clients, they are trusting you with the most important dress of their life and that is a big responsibility and something I am very appreciative of. Obviously throughout my day there may be a couple more trips to The Garden Tea Room. The cheesecake is just too good! I always take inspiration from decades gone by, classic movies as well as current contemporary fashion and haute couture. At the moment I am feeling quite drawn to the 70s. I know the decade was very full on fashion wise but there are elements that draw me to it, which I do love. I am in the process of designing and making my next collection, I don't wish to say too much but the traditional British seaside is having quite an influence on my Pinterest boards! Along with some flickers of inspiration from the Victorian era. Fabrics influence me too, I currently have the most beautiful embroidered tulle in stock which is featuring heavily in my new designs, along with plain tulles, silks and chiffons. I also love a bow! Bows seem to feature in all my collections! And please tell us more about a Caroline Chamberlain Couture Bride. A Caroline Chamberlain bride is usually someone who is looking for a more individual look. They are more willing to think outside the box and are not necessarily having the traditional text book wedding. My brides have the freedom to add their own twists on my designs, with this in mind, it really makes their dress truly unique to them. They are also the sort of girl who values good service and quality craftsmanship, and want to have something for their big day which truly reflects their personality and style. To meet Caroline and chat about your wedding dress ideas, make sure you get your tickets here and come and get even more curious at our 2016 show! Loved the designs and pictures as well. The photography team has done a very nice job!